“Rise and Shine” – Coulson uncovers General Hale’s true agenda, and it could be the end of the world if S.H.I.E.L.D. 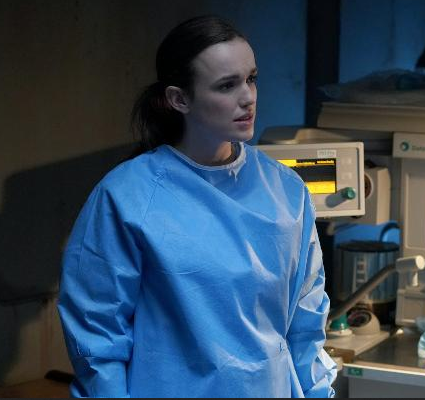 doesn’t help her, on “Marvel’s Agents of S.H.I.E.L.D.,” FRIDAY, MARCH 30 (9:01-10:01 p.m. EDT), on The ABC Television Network, streaming and on demand. Guest starring are Adrian Pasdar as Brigadier General Glenn Talbot, Catherine Dent as General Hale, Dove Cameron as Ruby, Peter Mensah as Qovas, Reed Diamond as Daniel Whitehall, Raquel Gardner as Carla Talbot, Jack Fisher as George Talbot, Alyssa Jirrels as teenage Hale, Adam Faison as teenage Jasper Sitwell, Joey Defore as young Baron Von Strucker, Graham Sibley as Professor Steger, Rocky McMurray as General Fischer and Lyn Alicia Henderson as Dr. Ford. ”Rise and Shine” was written by Iden Baghdadchi and directed by Jesse Bochco.